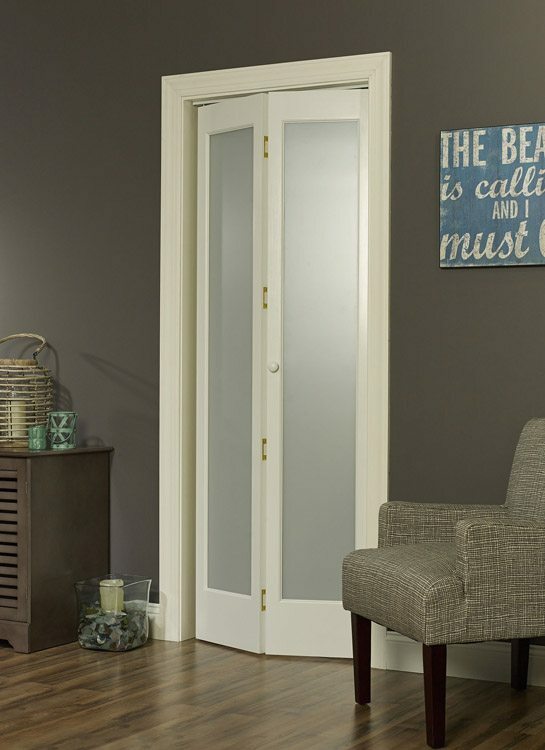 This classic bifold features full length Frosted glass. Provides privacy while allowing light to filter through. The Frosted bifold is also available in a half glass design. 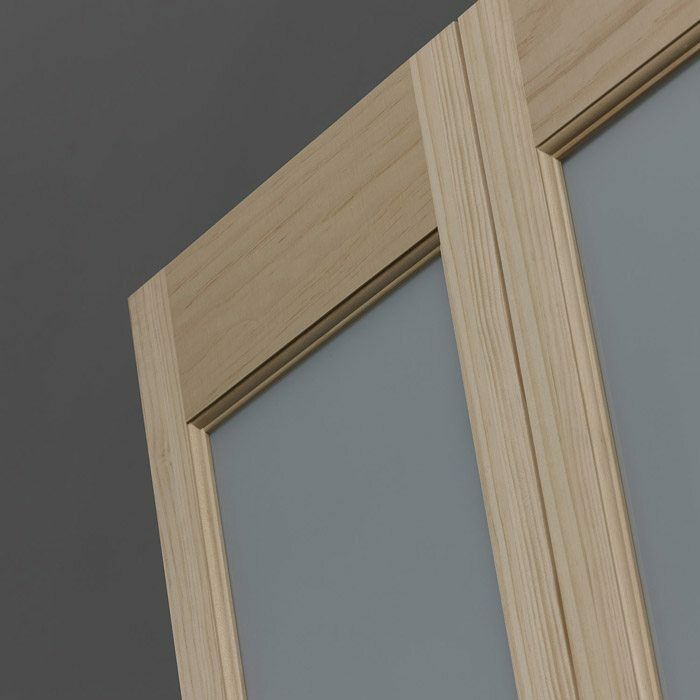 Our decorative doors are designed for easy installation and come with hardware and detailed instructions. Glass piece is filmed plastic for ease in finishing. Made of 1-3/8 inch Solid Pine with clear stiles and rails, no finger joints with v-groove construction. Tempered safety glass. Available in unfinished wood or pre-finished white and is ready for installation.